*Fighter.Survivor.Strong.Courageous. All great labels, but sometimes we either don’t want the name (figher/survivor) or don’t feel like we’ve done anything to deserve the name (strong/courageous). We simply did what we had to do and rose to the occasion. *For those of us who have survived, we wonder what our greater purpose is. *We don’t stress too much about small stuff or really very much of anything. It’s a tough journey and I would have rather not been part of it, but we don’t get to choose. Looking at the list it seems everyone, cancer or not, would have those common threads. Why must a life-changing illness remind is to keep life simple? Today I wear Bobbi Brown lipstick in Raisin. I love Bobbi lipsticks for both their moisturizing, color, texture…really, they are just great lipsticks. It’s a medium brown/plum shade that I love. Raisin has been my go-to color for at least 10 years, keeping it simple today. Cheers! I am sitting at work and reading your blog entries for the past several weeks. Finally, I stopped reading them all and began reading the entries with the most enticing titles. Sorry, people with ADHD can only do so much. I have a certain insight that many others do not because we are family. I have a certain insight that many others do not because I too am a cancer survivor. Finally, I have a certain insight because I enjoyed using lipstick throughout my journey with cancer. KIDDING! I wanted you to know that the stories and pictures made me cry, laugh, and ponder the greatness of the universe. Thank you for taking the time to reach out to those in need. 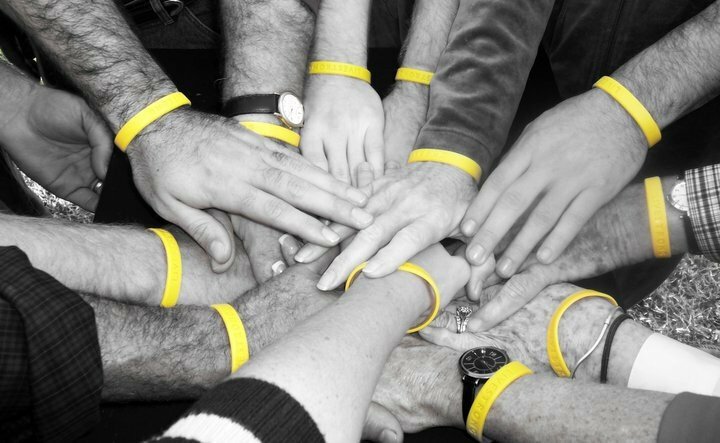 Your stories about the human characteristics most prevalent in those fighting cancer particularly resonated with me. One element, humor, was not one that you spoke much about. So, I wanted you to know that in addition to all the wonderful human characteristics you spoke about humor was my best weapon. Here is a short, but somewhat crass, story to illustrate the power of laughter. I was diagnosed in December, 2007 with bladder cancer. It was an aggressive, fast growing cancer that was nearly out of the bladder and into my prostate. I was told by my doctors that I was more likely to win the lottery than develop bladder cancer at 42. After my first surgery, I was in the hospital for several days. The first night was very difficult because the prognosis for recovery, especially without losing my bladder, was grim. My mother and brother were devastated for me. We had just lost our father to cancer six months prior. I made a decision that day that cancer was not stronger than me. I was going to use my very best weapons to defeat cancer: faith, hope, love, and laughter. While my mother was out of the room, I asked my very attentive brother if he could help me. I told him that something was very uncomfortable around my midsection. What he did not know was that i had a rather large catheter installed after surgery. One tube irrigating the bladder, the other draining it. I pulled back the covers to reveal my predicament and much to my delight my brother reacted just the way I had hoped. He looked in horror, cringed, and ran out of the room in mock pain. I laughed and laughed. When my mother returned, I got to share with her my clever prank. It broke the tension and allowed us to focus on more positive pursuits. Control is an illusion but faith, hope, love, and laughter are real. Love it Mike! Glad you found my blog and you’re right, humor is HUGE. Your story made me laugh, glad to be a part if your life and journey too! Of course Joyce! Lipstick is kinda interwoven in all aspects of my life…scary but true. I guess there could be stranger things?